hey, I got here first? two minds meeting around 5 a.m.–probably significant! (that final word which I just typed three times before no red wiggly line appeared is pretty apt!) happy significant july 4th…may peace be the word of the day and until eternity! maybe if all humans could eat potato salad on a regular basis! YES! no wars…no borders! can you tell I am a democrat? yes, you are first, susie. yes, i think you may be right. our minds are up and ready to go early in the morning, and that’s just how we are. here’s to peace and kindness on this day and all moving forward. Yes, peace and kindness to you all on the 4th of July. Happy 4th of July Beth! In this heat it is very wise to keep a wary eye on the potato salad!!!!! and to you, colleen. i’ll do my best to keep everyone safe from the potato salad. somehow, i knew i could count on you! In the UK we celebrate the Battle of Hastings in 1066 and the day that we lost our independence. How strange are we? Yes! The perfect quote for this Independence Day, Beth! Erma was such a treasure. (And that pic of yummy potato salad is… well, yummy!) Happy Fourth of July hugs! Thanks for bringing us vintage Erma on our Birthday, Beth. Happy Fourth to you and yours. classy it is! happy 4th! Love the Erma Bombeck quote! 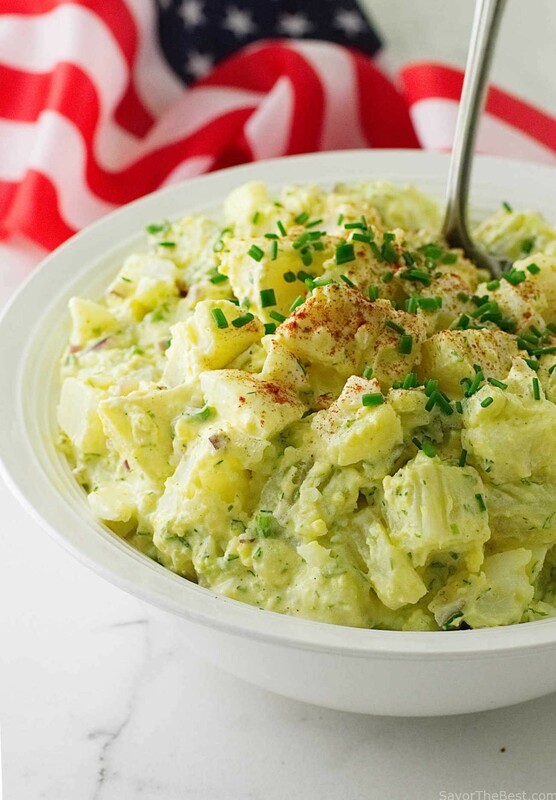 What’s the 4th without potato salad? And Happy Independence Day to you as well! Gotta love Erma’s humor, and now, twenty-some odd years after her death, she’s still relevant. Thanks for the reminder. Happy 4th!! she sure is, and same to you! doing your bit for the country – what a patriot you are! Thanks for bringing back Erma. One of my (late) mother’s faves. Before Erma, there was Jean Kerr. Ever hear of her? I proud to do my patriotic duty per Erma.